Days to Christmas, the end/start of a New Year, space rockets countdown to blast off, the American NBS/CBS Late Show (David Letterman) Top Ten List, the TV game show 'Countdown' and who can forget the iconic Top of the Pops Top Ten Countdown. My favourite category though, is the 'Top Ten numbers between 1 and 10' (I found this ‘joke’ in a Christmas cracker last year). Top of the Pops, also known as TOTP, was a music chart television programme, made by the BBC and originally broadcast weekly between 1 January 1964 and 30 July 2006. The Christmas Number One on Top of the Pops in 2006 (thanks to X Factor) was Leona Lewis with 'A Moment Like This'. It was also in 2006 that one of the best wall art companies in the United Kingdom, Brilliant Wall Art, started selling unique and innovative wall art from their Birmingham base in Rubery. 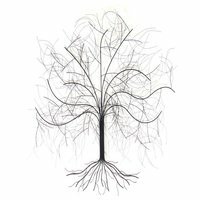 Simon, Karen and the team at Brilliant Wall Art have developed an extensive range of contemporary and quality decorative metal wall art and home accessories at the lowest possible prices. What is their best-selling art? What is their best metal wall art? What are their top 10 products? Brilliant Wall Art have a top 10 Christmas best sellers chart for 2016. Our best-selling art at Number 1 is our Large Oak Tree metal wall art. This is very contemporary and stylish in design, easy to hang using the rear mounting brackets behind the tree trunk and eco-friendly made from the highest quality recycled metal. At Brilliant Wall Art, we specialise in the finest quality wall art and we are continually striving to offer the very best in products and customer service. Check back on a regular basis as we are always searching for new products to offer our customers at the lowest possible prices. No other store is as committed as we are to the satisfaction of our customers. Therefore, we will continue to offer the very best products at affordable prices.